There are five requirements for crystals to form: ingredients and temperature, pressure, time, and space. To better explain the basics of mineral crystallisation lets talk about rock candy for a second. 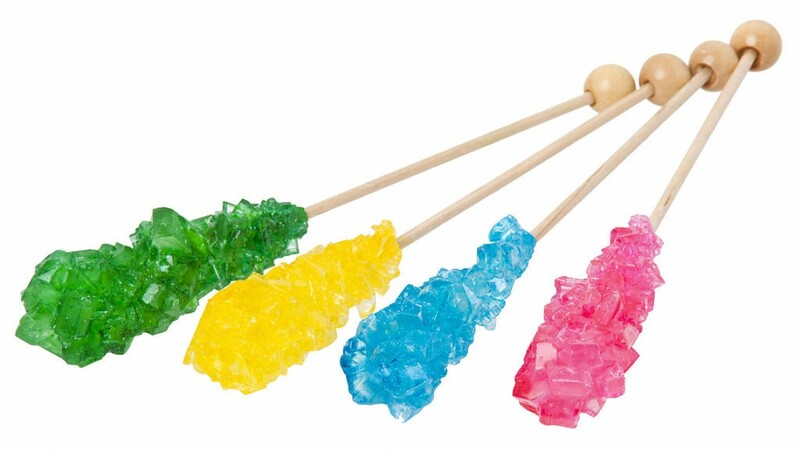 Rock candy is simply crystallised sugar. If you stir as much sugar as possible into a bottom of water you will see it begin to settle at the bottom of the pot. When no more sugar can dissolve, you have reached saturation point. The water can’t absorb any more sugar, this is known as super-saturated. Now bring the pot to a boil- the saturation level changes at boiling point. You can add more sugar, you should do so until you reach super-saturation. At this stage, you should remove the pot from heat. As the water returns to room temperature the sugar it can hold returns to its previous level. The excess sugar comes out of its solution and crystallises as it does so. Now, hang a string in the solution so the crystals have something to grow on. Ideally, weight the string to keep it straight. Once the water has totally cooled the string will be covered in crystals. 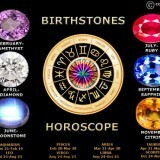 This is a great way to understand just how gemstones form. 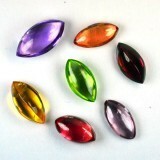 While our knowledge of the earth’s mantle is limited, there is evidence that some gemstones form in the mantle. This requires extremely high temperatures. Perhaps the most notable examples of gemstones forming in the earth’s mantle are peridot and diamond. Geologists studied Arizonan peridot deposits and believe that they were created on rocks that were floating in the earth’s mantle, up to 55 miles beneath the surface. They were brought closer to the surface by an explosive eruption, with erosion and weathering pushing them close enough to the surface to be discovered. 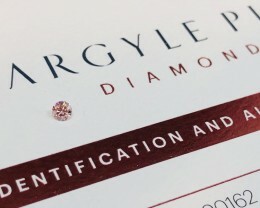 However, there is a better understanding of diamonds. Diamonds crystallise in the magma just below the crust. However, these formations have a different chemical composition. 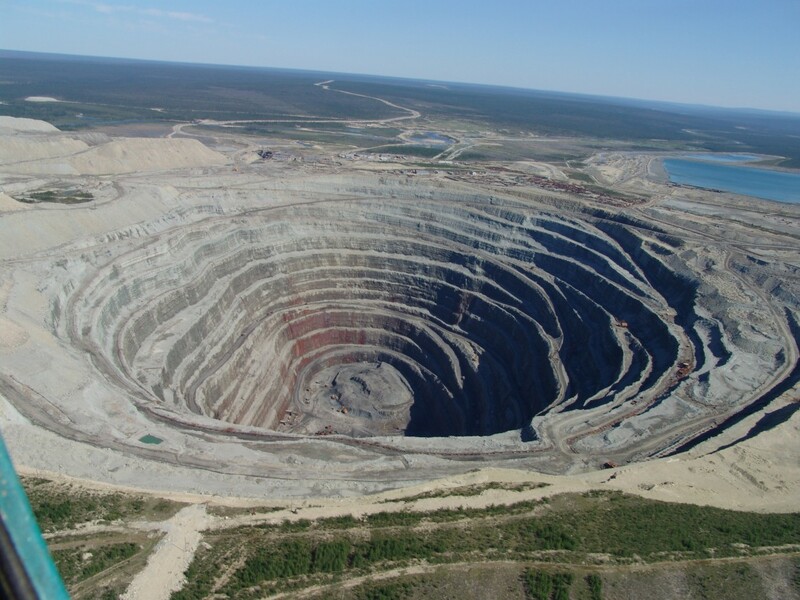 Geologists believe it comes from 110 miles to 150 miles beneath the earth’s surface. The magma is incredibly fluid at this depth, and the temperatures very high. This magma can force its way through the crust far faster and much more violently than other volcanic eruptions. During the process of eruption, the magma breaks up and dissolves rocks and then carries them to the surface. 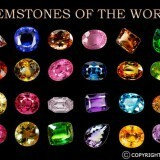 If the magma was to rise slowly the diamonds likely would not survive. The pressure and changing temperatures would result in the diamonds vaporising, or possibly re-crystallising as graphite. However, because of the speed with which the magma rises the diamonds don’t have time to transform or vaporise, thus remaining as diamonds. When there are dramatic and rough changes in the crust crystals are often broken. When growth conditions are present material seeps into the fractures and crystallises. This heals the fractures by sealing them together. They don’t heal completely, though, the fine cavities remain and they are seen as fingerprints. 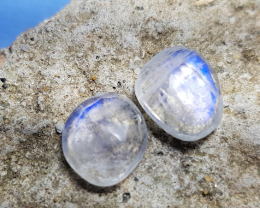 How do they rise to the surface once gemstones form? Because they form so far under the surface, it’s a wonder they can be mined. They’re brought to the surface during volcanic eruptions, but most of them reach the surface through erosion and mountain building. This process is the most similar to the rock candy given above. Super saturated water with many different minerals is pushed up into cavities and cracks in the earth. as this solution begins to cool the different minerals begin to crystallise. The most important hydrothermal finds are in Columbia. Specifically the Muzo Emerald mine. 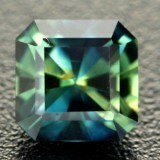 These hydrothermal deposits are rich with Chromium with gives the Emeralds from region their incredible color. The image below shows a hydrothermal mineral vein. This vein is created when the water solution cools inside the crack of the surrounding rock. 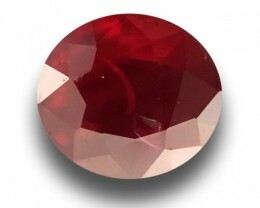 The majority of gemstones are formed by metamorphism. 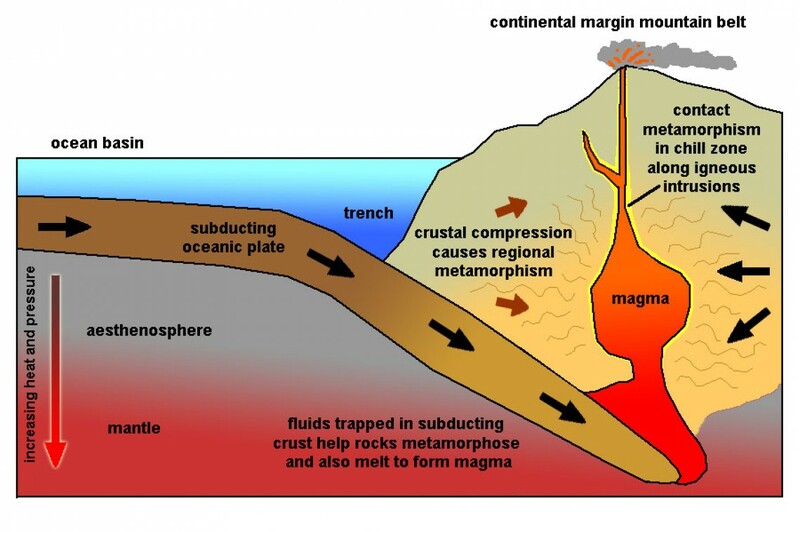 This is when minerals are forced together under great pressure and heat usually by tectonic plates moving underneath each other. 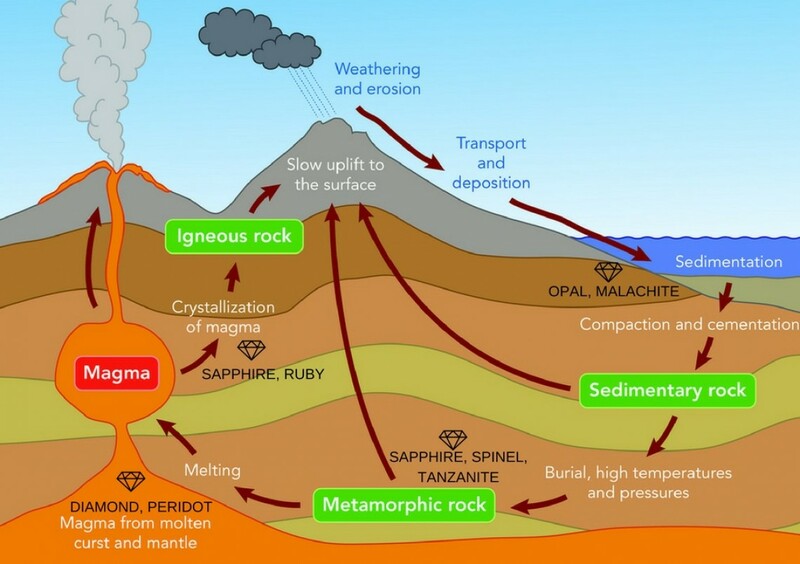 The minerals are forced together and they metamorphose into different minerals, sometimes without melting. 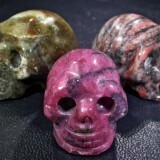 Sedimentary gemstone creation occurs when water mixes with mineral on the earth surface. The mineral rich water the seeps down between the cracks and cavities in the earth and deposits layers of minerals. This is how minerals like Opal, Malachite and Azurite are formed. 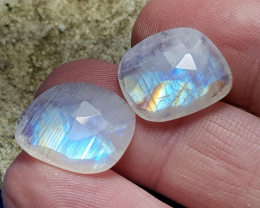 Opal is formed when the water mixes with silica. As the silica solution settles, microscopic spheres of silica stack on top of each other forming Opal. 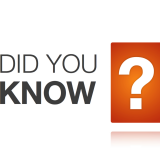 The earth’s crust can be anywhere from three miles thick to 25 miles thick. Beneath the crust is the earth’s mantle. The mantle is approximately 1,860 miles thick and makes up 83% of the earth’s volume. It is composed of magma, which is molten rock. When it reaches the surface, it is called lava. It is at its hottest nearer the centre of the earth you get- and the currents of heat keep it in constant motion. The zone where the crust and mantle meet is tumultuous, with high temperatures and high pressures. Several plates make up the earth’s crust and float on the liquid mantle. As they run into each other some are raised into mountains, while others are pushed down. Magma is also in continual motion. Its pressure and movement are continuously creating wear and fractures to the bottom of the crust. Rocks then break free from the earth’s crust, being carried away by the fluid magma. The rocks melt, altering the magma’s chemistry. 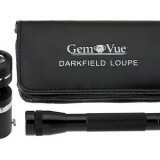 While the smaller particles are fated to become inclusions in gemstones yet to form. 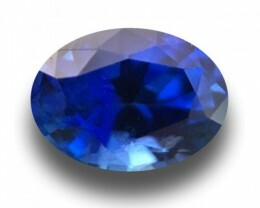 Gemstones form deep in the earth, with the lower surface of its crust containing numerous cavities due to heavy fractures. Fluids escape through the cavities and fractures. This is the ideal condition for crystal growth. It is essentially a soup rich in chemicals, supplying all of the necessary ingredients. The cavities provide the perfect space to grow, and the pressure and temperature is high. The fluid moving through the crust causes it to cool enough for the crystallisation to ensue- all that’s needed now is time. Geologically speaking- the time it has should be sufficient. However, because this environment is highly tumultuous and the passages continuously open and collapse. The crystals will often start to form, but when the passage collapses the fluid stream is closed off. It’s at this point that growth stops. If and when the passage reopens the growth resumes. 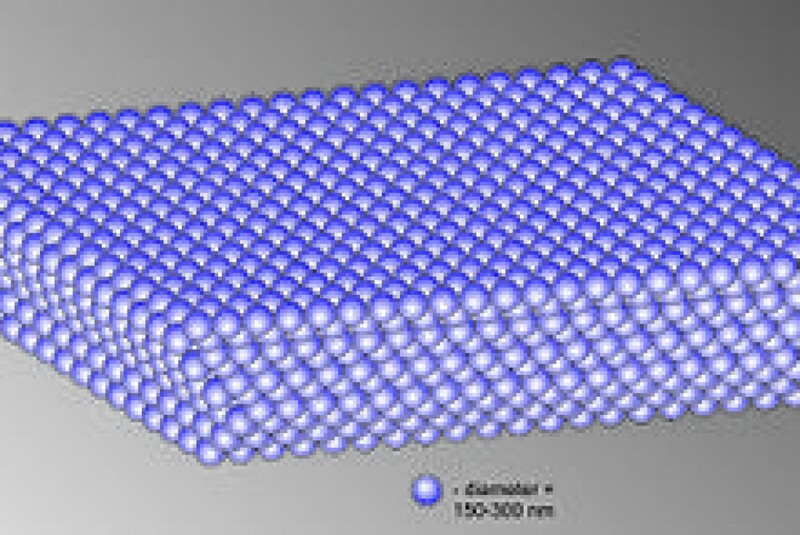 This on/off growth is generally undetectable in crystals, though in other cases the successive layers of development have a different chemical composition. This results in colour zoning. 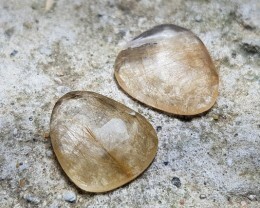 Topaz crystals form before quartz in the cooling process, because one principle of crystallization is that as the temperature drops the solid ingredients it can hold drops. Though, the ingredients in the earth’s crust are a tad more complex than the sugar solution described above. Different minerals crystallize from the same solution, but at different temperatures. 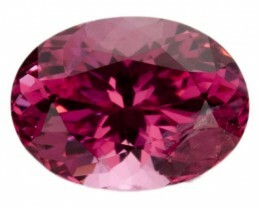 You may see corundum first, followed by topaz and quartz as the solution continues the cooling process. 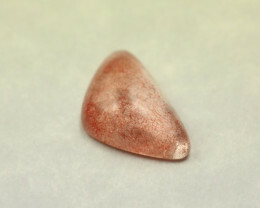 While pressure has no effect on rock candy- the correct combination of temperature and pressure is needed for minerals to crystallize. Additionally, there are two other conditions required for crystallization - space and time. 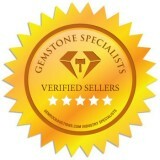 Essentially, the correct ingredient combination, pressure, and heat must last long enough for minerals to crystallize. Additionally, they require room to grow.